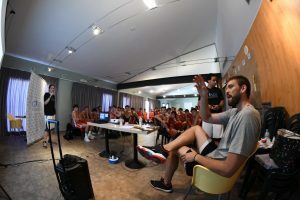 Educating athletes about the significance of healthy habits pertaining to physical activity is important to Gasol Foundation. 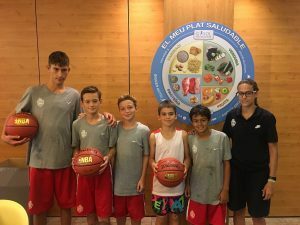 That is why we organized healthy workshops at the Escola Basquet Girona Marc Gasol (EBGMG) summer camp: we wanted the athletes in attendance to grasp not only athletic concepts, but also for them to understand the affects healthy eating and hydration can have. 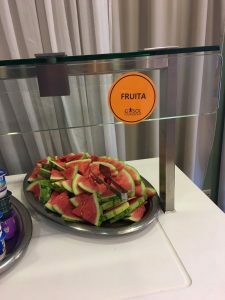 In order for athletes to maintain such rigorous training programs, it is vital that they fuel their bodies correctly. 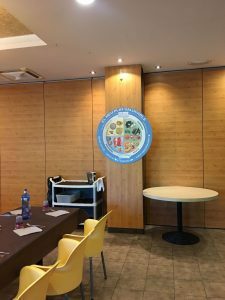 One of the tips Gasol Foundation provided to help with this was by supervising the EBGMG menus.By doing this, Gasol Foundation was able to achieve a balance between rations and guarantee a menu composed of essential vitamins and nutrients athletes need in order to perform at an optimal level. 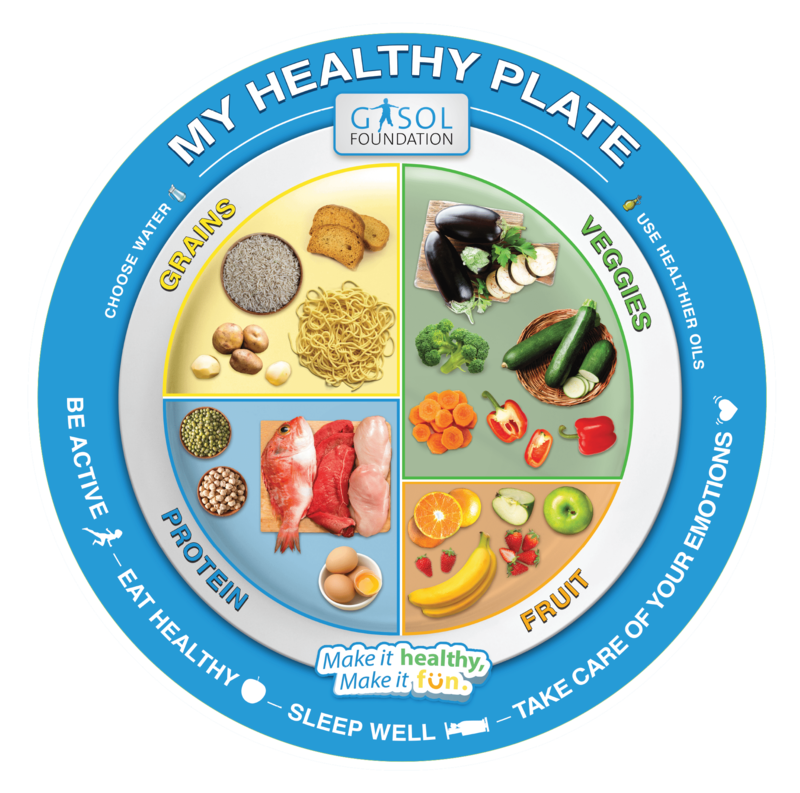 With the aid of coaches, trainers and educators, camp attendees learned all about the Healthy Eating Plate. 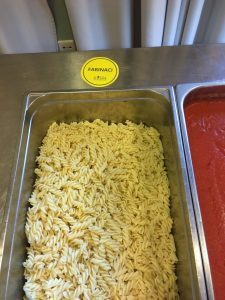 At the end of the lesson, all of the campers were fully confident in their ability to choose healthy options on their own. 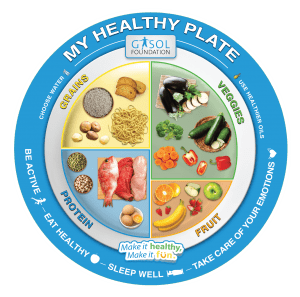 A simple and effective way to get young kids excited and motivated to exemplify a healthy lifestyle is to make learning about healthy habits and nutrition fun. This is why EBGMG campers participated in different fun and dynamic activities. For instance, they all took part in an activity where they were divided into 2 teams for a basketball game. Extra points could be earned if they hit a heathy question. 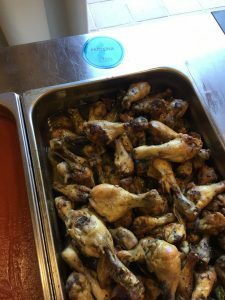 Some of these questions included: Does eating before a game or competition help to maximize performance? 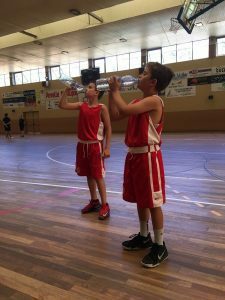 When competing at a high level, is eating more important than hydration? As you can see, play and teamwork can go hand in hand when it comes to learning about healthy habits. 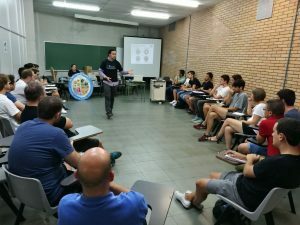 Upon completion of the healthy workshops, participants at the EBGMG Summer Camp received a Healthy Kit from Gasol Foundation. 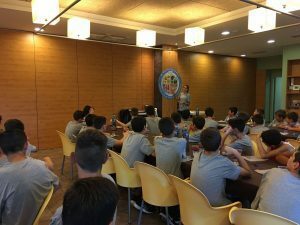 The kit included a reusable water bottle in order to encourage proper hydration, and a towel to promote good hygiene habits after physical activity.We know that our campers will put these kits to good use and maintain a healthy and active lifestyle! Coaches play a crucial role in players’ lives. 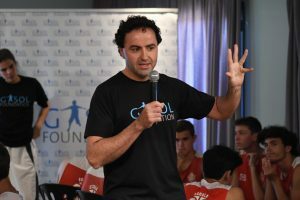 Besides educating players’ and developing them to their full potential in their sport, they also serve as support systems and role models, especially for younger athletes. 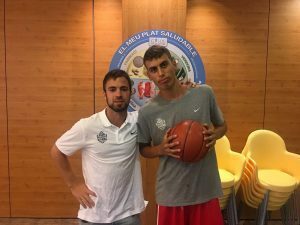 Gasol Foundation fully understands this; therefore, we knew it would be a great idea to organize an additional session at Escola Basquet Girona Marc Gasol featuring the Gasol Foundation coaches. By sharing all of their knowledge and expertise , they were able to reinforce key concepts to the campers. We cannot thank the EBGMG coaches enough for their messages, training and encouragement. You’ve inspired and motivated our campers in so many ways! We trust that all our campers will take everything you’ve taught them and utilize it as they move forward in their health journeys.